Corian ~ it's not just for countertops anymore! 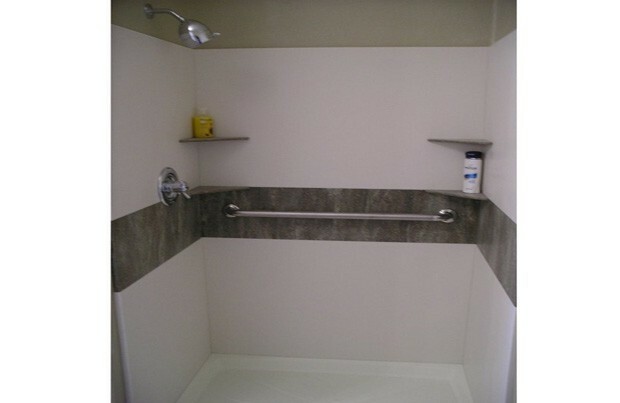 This custom Corian shower incorporates a band of color used on the vanity to tie both spaces together. 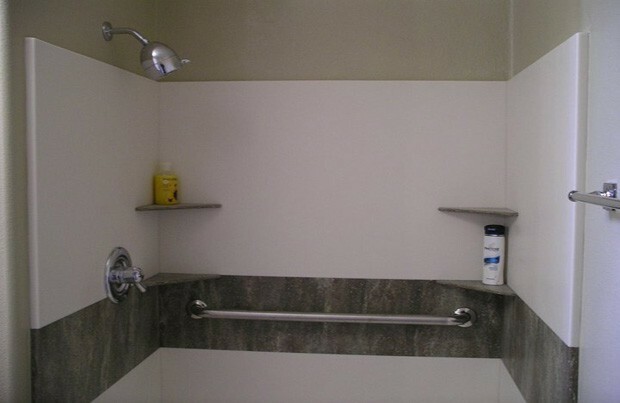 Corian is an excellent surface for all wet-wall applications because it is non-porous and resists the growth of molds and bacterias, it's easy to clean and requires almost no maintenence.